I’m not completely happy with WordPress.com, so I’m experimenting with some free hosting sites to see if I can get something good going. I want better layouts, for one thing. This means this blog may be moving soon. Currently, I’m looking into Yola.com and 000webhost.com, but I’ll be keeping my options open. 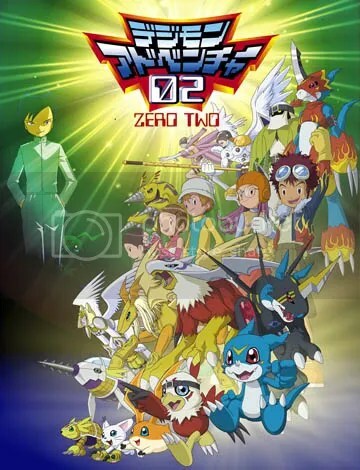 Three years have passed since Taichi, Takeru and Hikari’s original adventure, but a new threat arrives in the peaceful DigiWorld – the Digimon Emperor intent on enslaving the Digimon for his own purposes. Two of the original DigiDestined, Hikari and Takeru, return joined by three newcomers: Daisuke, Miyako and lori. 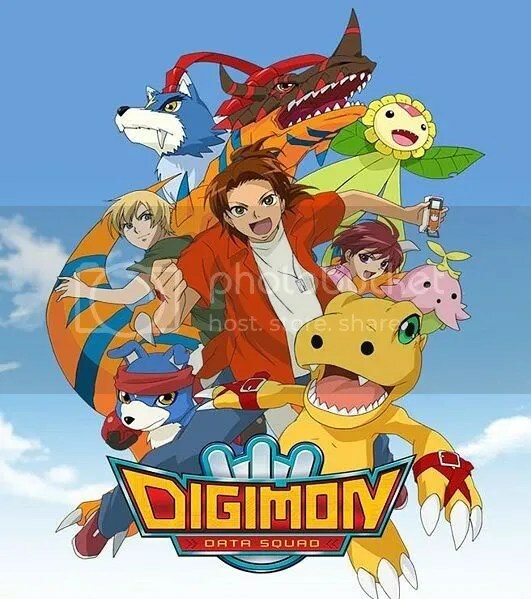 Together they go to the DigiWorld and with their Digimon partners Gatomon, Patamon, Veemon, Hawkmon and Armadillomon fight the new menace to save the DigiWorld they love. Um…no. 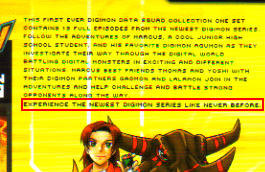 There’s no virus attacking the Digital World, Hikari (Kari) is a season one veteran, and Daisuke (Davis) is the newbie partnered with Veemon. The new summary is right, except that it blends the language versions. Gatomon, Veemon, and Armadillomon’s Japanese names are Tailmon, V-mon, and Armadimon, respectively, and the Digimon Emperor is called the Digimon Kaiser. Also, the original version uses the terms “chosen children” (選ばれし子供 erabareshi kodomo) and “Digital World” instead of “Digi-Destined” and “Digi-World” (the dubbers were obsessed with putting digi in front of everything). Retailers said it wouldn’t be available until May 26th, but I bought my copy today. 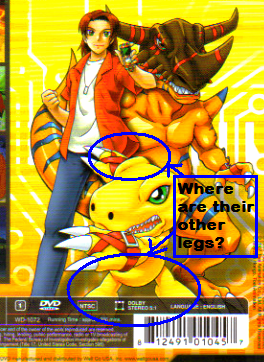 So, Digimon fans, call or visit your neighborhood Wal-Mart, Target, Best Buy, etc. to see if they already have it in stock. (I paid $30, but Target has it for $20. If you like buying online, Amazon also has it for $20. Comparison shopping works.) As expected, it has three DVDs and a booklet with information about the DATS members and summaries of the thirteen episodes. 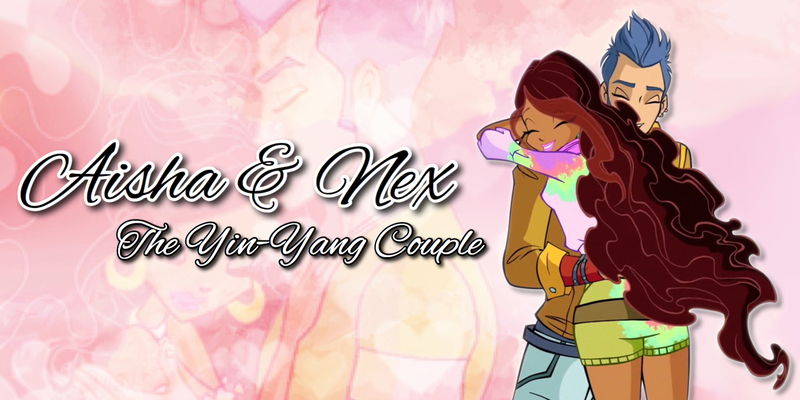 Anyway, I won’t be able to watch the DVDs until Wednesday or Thursday (at the earliest), so that’s when I’ll tell you about the menu, any extras, and things like that. Of course, you may have bought it yourself by then! If so, enjoy! Facebook: a great way to stay in touch with the people you love. But social networking has a deceptive touch. Find someone you know, someone who knows someone you know, someone who shares your interests, someone who looks interesting, etc. Congratulations! You are now friends forever! Don’t you wish relationships were this easy to start and maintain outside the Net? That’s the superficiality of Facebook. Your “friends” could be the super fan who faints at your concerts, the girl in your school you’ve never met (but who requested you because you attend the same school), a random person in Brazil who thinks you have a cutest smile, or the man who’s trying to get into the Guinness Book of World Records for the longest Friends List. Do those connections really mean anything? 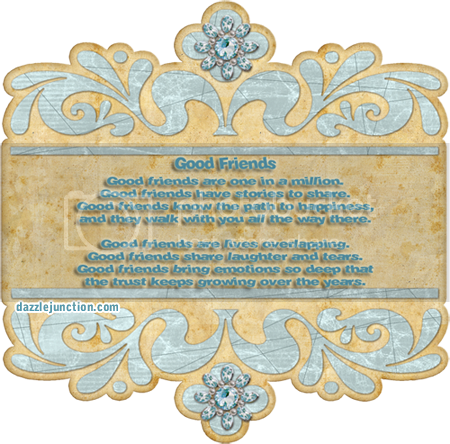 How many “friends” do you have? Ten? Fifty? Five hundred? Well, aren’t you a star? But how many of them talk to you more than once a month? What are your conversations about? How many of your “friends” know you, instead of knowing about you? Have you met them all in person? Most importantly, how many of them truly love you? The list shrinks, doesn’t it? Maybe ten people out of a thousand. The other 990 rot on your Friends page; they’re nothing more than your entourage. You may even have forgotten each other. So, tell me. 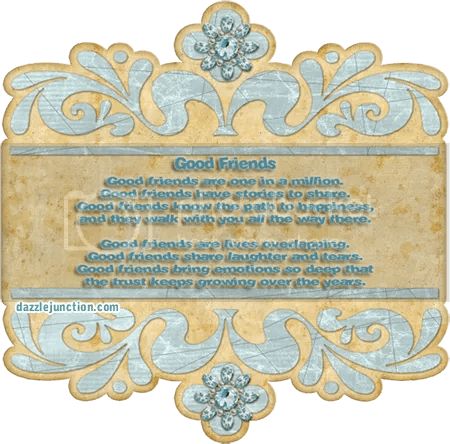 Who are your real friends? I thought an iPod was the strangest thing the Obamas could have given the Queen, but the gaming company THQ has topped them. They have presented Her Majesty with a Nintendo Wii. Yes, a game system! For the Queen of England! But this is not the standard, pearly white Wii you would buy at Wal-Mart. The console, nunchuk, and Wiimote are gold-plated. A gracious gift or a shameless plug? Good point, but for the Queen of England? She may have wanted the console. Mike Krumbholtz of Yahoo!‘s gaming blog Plugged In writes that “she was ‘addicted’ to playing Prince William’s Wii last Christmas.” The speculation begins. Will Her Highness stick to sports, or will she find her inner rocker with Guitar Hero or Rock Band? Season eight is history. Congratulations to the winners, Shawn and Mark, and to all the finalists. This was a spectacular season, and I’m sure everyone is looking forward to season nine in September. My top three dances of the season are shown here, and I’ve posted links to a few special mentions. In first place is Li’l Kim and Derek’s “Jailhouse Rock” jive (week 6). It was also the best dance of that night. Derek, you’re under arrest for stealing my heart! My second favorite is Shawn and Mark’s freestyle. Energetic and kissed with Mark’s quirkiness—wonderful! Some people say it’s the dance that won Team Shark the trophy. Third place: Gilles and Cheryl’s quickstep to “Kryptonite” (week 2). Yes, everyone talks about their Argentine tango, but I never forgot this routine. Gilles, you really are Superman! On that note, thanks to the entire Dancing cast for a great season, and congratulations once again to Shawn and Mark!